I read this article and found it very interesting, thought it might be something for you. The article is called Soundbite: Trev O’Shea – Bodytonic and is located at https://www.totallydublin.ie/food-drink/food-drink-features/soundbite-trev-oshea-bodytonic/. 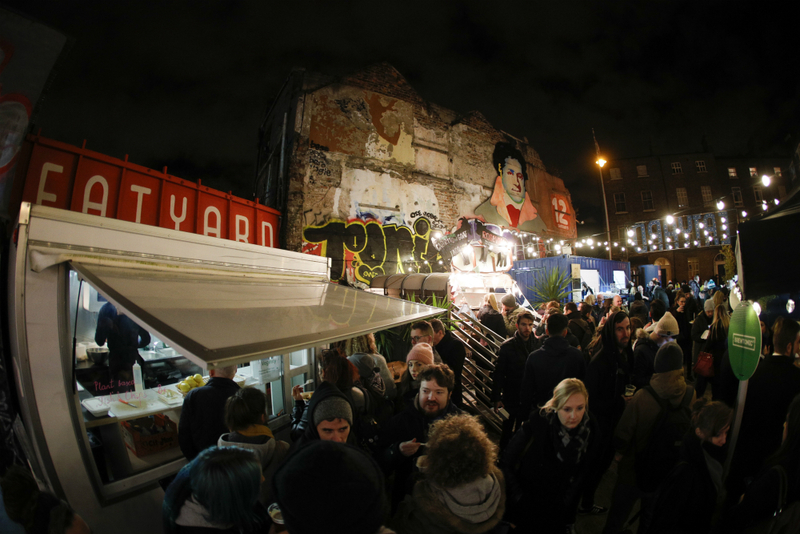 An involvement in fostering some of the capital’s most innovative pubs, café bars and festivals, coupled with the recent development of a weekly street food market has been keeping the industrious Trev O’Shea busy shaping Dublin’s continually evolving food scene. The list of places bearing his imprint has grown impressively over the past few years, and now includes such establishments as The Bernard Shaw, MVP, the Square Ball, Wigwam and the Back Page. Add to that his role in organising such eclectic and varied festivals as Beatyard, Rumbunctious, Ginfusion and the Big Grill, the recent opening of Eatyard at the back of The Bernard Shaw and Pot Duggan’s pub in Co. Clare, and factor in a small investment in the exciting NYC venture Nowadays (opening later this year on the Brooklyn-Queens border) and you begin to get a sense of the many and varied pies this prodigious entrepreneur has digits in. We caught up with the inventive Bodytonic founder, boss and self-professed office toilet cleaner to talk about the approach underlying his food and drink ventures, ‘notions’ about running sports and games events and his insights on what makes for a good pub. You’ve said previously that the Bodytonic story initially grew out of exasperation at not being able to get places to DJ in at the start of the current millennium. 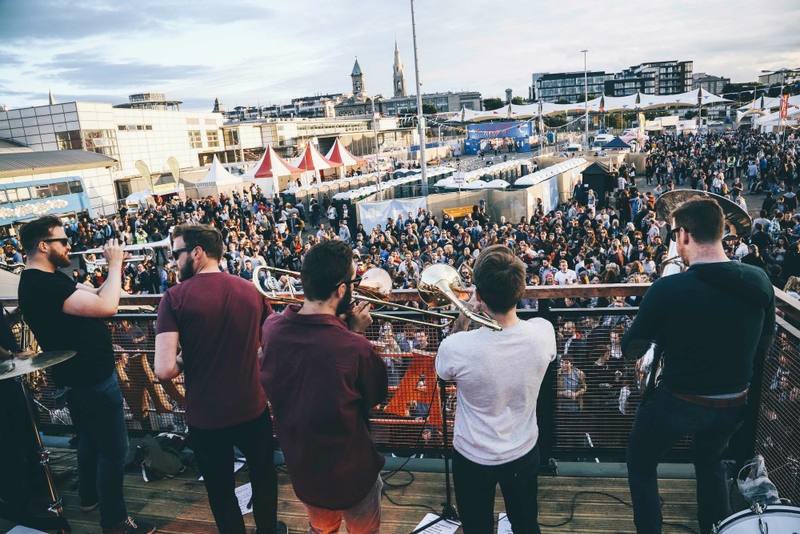 How did that journey then progress to organising food and drink festivals, opening pubs and innovating around Dublin’s food and drink scene? Getting older! I distinctly remember around when I turned 30, a bunch of things personally changed. We had our first baby, I stopped liking going to clubs and staying out late, nasal hair length became an issue… But I also got a taste for craft beer, good coffee, restaurants, street food etc. Ironically enough, I can’t get gigs in Bodytonic now… they won’t give me any in here. The past few years has seen your involvement in the development of such initiatives as The Big Blue Bus, Fowl Play and food market Eatyard. How would you describe the philosophy underlying your approach to the various food ventures you’re engaged in? It’s constantly evolving. At the start it was ‘get someone else to do it’ and that’s how we started working with the Big Blue Bus, 3fe, Cafe Together back in the early days. Their business + our business, 2+2=5, that sort of thinking. Over time, with running Beatyard and the Big Grill we got a bit of confidence, and a lot of education in terms of trying to run things ourselves or partner with others, and that’s what gave life to Eatyard, Botequin and Fowl Play. The underlying philosophy is always to be curious, get really into things, do our homework, work with like minded people, take our time to learn and when opportunities present themselves, try things out. We’re looking to build a brewery next year, but we’ve spent the last 5-6 years learning, working with others, to get to that point. We don’t do things for the sake of it either. You opened Pot Duggan’s in Ennistimon this summer. How did that experience compare with getting the various Dublin ventures off the ground? It’s going to be a slow burner, our plans for that could take 2-3 years to make happen. We’re in no rush, just trying to figure out the lay of the land, see what happens… what works, what doesn’t. So we’ll experiment, try a bit of this, fail at a bit of that, but we will stay the distance until we get it right. This is pretty much how every project goes for us, whether it’s Dublin, New York or Ennistimon – it’s never easy, never instant. I wish it was! With pubs, festivals and markets you’ve already covered a lot of ground on the food and drink scene. Is there anything else you’d like to get involved in organising in the future? Sports and games events. Purely because I’m a sports nut, and I have ‘notions’ about how I’d like to run some. I’ve been saying this for 5-10 years though, but beyond the annual Shoddytonic Cup we organise between ourselves internally each Christmas, we’ve yet to make this happen. It will happen! Just over ten years on from the launch of The Bernard Shaw, what do you think makes for a good pub? The same things that applied 10 years before us, and will be the same in the next 10, next 100 years. Good service, good atmosphere, good people… good times. It’s a pretty timeless recipe. Everyone has their own unique slant on that, but the fundamentals will always be the same. Is there anything we haven’t covered that you’d like readers of Totally Dublin to be aware of?